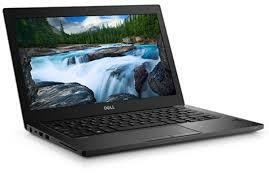 12" business-class laptop built with Dells smallest and lightest frame ever. Featuring Intel® 7th and 8th Gen Core i processors. Latitude laptops and 2-in-1s enable all day productivity with the most secure and manageable features all in a beautiful design you will be proud to carry.No matter where work takes you whether you are on the go, at the desk or working from the café, we have the right solutions so you can office everywhere. Built with stunning resolution: The 12.5" HD screen produces life like visuals for remarkable viewing from every angle. Power your performance: Experience an increase in performance with optional Intel 8th Gen processors and PCIe SSD for optimal performance.